Ensure the PTT+ app has been updated to the most recent version for Android® o iOS. An Instant Personal Alert (IPA) is a call alert that can only be sent to another PTT+ contact who's on the same Verizon network as the sender (only 4G LTE to 4G LTE IPAs are available). An Instant Personal Alert (IPA) can only be sent when the sender's presence status is 'Available'. 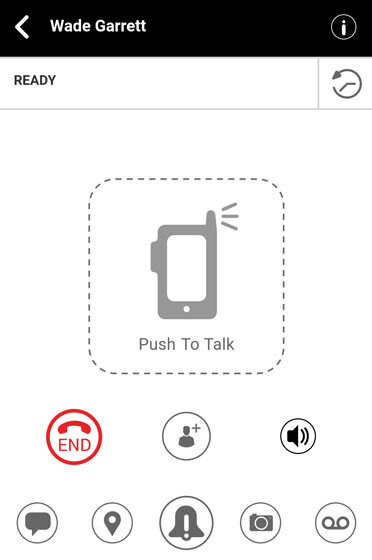 From a Home screen, tap the Push To Talk+ app or navigate: Apps > Push To Talk+. Desde la pestaña Contacts, selecciona el contacto apropiado. 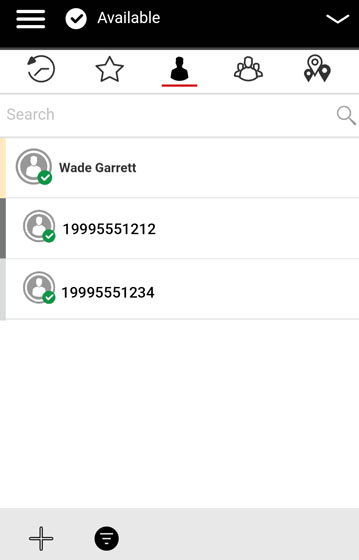 Alerts can be sent only to individual contacts, not groups. From the Ready screen, tap the Alert icon to send the alert. A message "Sending Instant Personal Alert, please wait..." indicates the alert was delivered successfully, but doesn't mean it was received. Tap Reply to make a PTT call from the Ready screen. Tap Not Now to dismiss the alert.